The future of cashless payment has arrived. In fact, it has arrived back in 2014 in China, far from what an average consumer might think. And this phenomenon has yet to be even fully integrated into other parts of the world. As of 2018, more than 2.2 billion users are actively using WeChat and its payment function for daily small transactions, while competitor Alipay has a similar feature and standing in China. Elsewhere around the world, companies are starting to adopt similar wallet and e-payment systems in their framework while Amazon wallet is too trying to emulate the success of a payment system. So, what exactly is the appeal that comes with an in-house payment system? Well, the appeal is the very same reason why Banks in all countries are afraid of the new payment systems – The ability to bypass the legacy banking systems. In China, it is very different as the payment systems completely skipped credit and debit cards. As such, it is far easier to integrate a cashless payment system and bypass the banking institutes completely. However, this isn’t the case for the Western countries. With existing systems and processes in place, not only is it harder for the shift to occur, but it seems that banks aren’t too happy with the shift that companies are moving towards. In the traditional banking systems, banks are able to earn an exorbitant amount of money from the fees which they obtain during the handling and processing of payments. When wallets come into place, the payments via banks are bypassed, resulting in banks losing out on that one source of revenue, one that adds up to $90 billion a year in the United States. 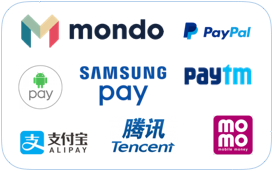 For now, the many companies that are coming up with their own payment system have one goal in mind – to replicate the success that Alibaba and Tencent have in China. But the very fact is that this may not be happening any time soon, especially since another avenue of banking will be hit. Cash dispensing is a by-product of a society where goods and services have to be exchanged. Once cashless payment systems take over, the use of physical cash is virtually useless. That is easily $43 billion USD in merchant fees that would be lost once cashless payment and third-party application manage to replace the physical currency of a country. In fact, with the whole evolution and paradigm shift in the way money is being handled, companies are relying on different avenues in order to earn money. Not only is payment now done on mobile applications, but investments and market funds are now being integrated into mobile apps to generate significant profits for companies. When such an occurrence becomes the norm, such as with China, banks would start seeing significant amounts of money being channelled in mobile applications for storage as opposed to their banks, a major paradigm shift. The future of e-payment and financial technology is vastly expanding and transforming at every second. Whether or not a country is able to adapt would depend on how well its citizens embrace technology and the willingness to phase out traditional banking.